This move-in ready home is a must see! Spacious, open and airy 3/2 home has an open floor plan with ceramic tile/laminate floors throughout. The eat-in kitchen includes breakfast bar, solid surface counter tops, beautiful back splash, cherry cabinetry, large pantry and upgraded stainless steel appliances. Master bath has dual sinks, large vanity mirror and separate toilet room. New air conditioner was installed 2017 along with a nest thermostat. Upgraded washer/dryer included. The screened lanai and new extended brick patio, vinyl fence, and landscaping make this the perfect back yard retreat, great for bbqs and entertaining. Exterior of the home was repainted in 2017 with new front sod and irrigation system. All new plumbing installed in 2013, gutters and spacious 2-car garage complete this well cared for home. 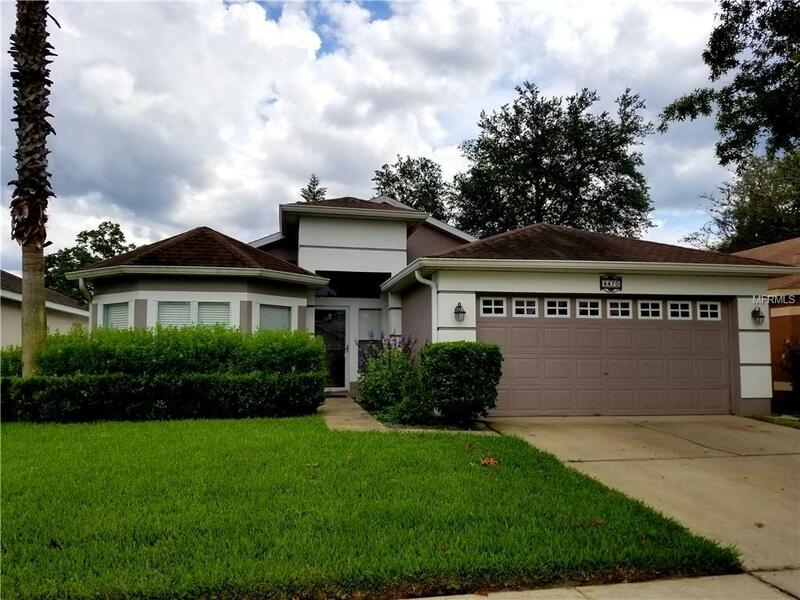 Located in the highly desirable Deer Run subdivision of Casselberry, it is near local highways, great schools, shopping and restaurants. Call today for your private showing. Listing provided courtesy of Applegate Property.